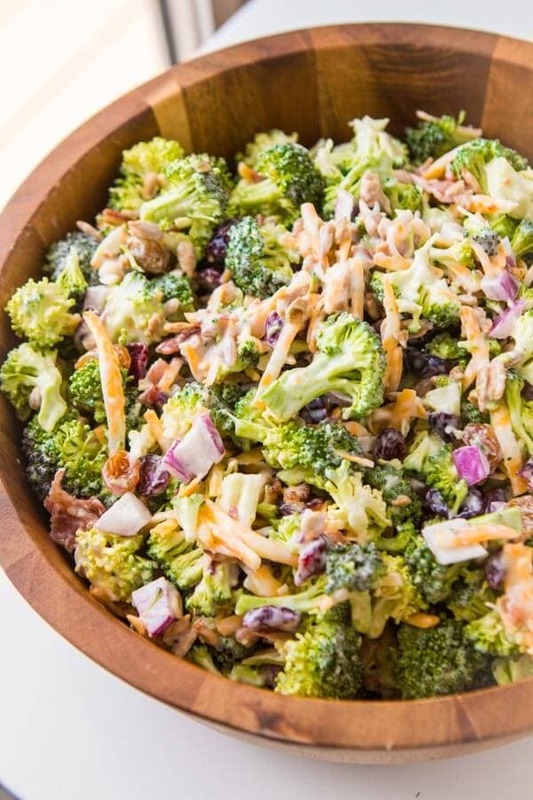 Everyone’s favorite quick and easy side for our BEST broccoli salad recipe that’s perfect for potlucks and BBQs. 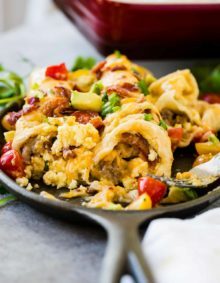 Plus it has bacon in it! Broccoli is a great source of vitamins K and C, a good source of folate (folic acid) and also provides potassium, fiber. Vitamin C – builds collagen, which forms body tissue and bone, and helps cuts and wounds heal. Vitamin C is a powerful antioxidant and protects the body from damaging free radicals. I dug in. IT. WAS. DELICIOUS. Oh, I still can taste it. That was the first food he had ever cooked for me and he blew me away. Everything was fantastic, including the broccoli. This man has changed my life in many ways, but definitely in the food department that night. I started trying all sorts of new things that Cade loved (never Sushi. I still don’t eat that even though he loves it and continually tries to convince me). 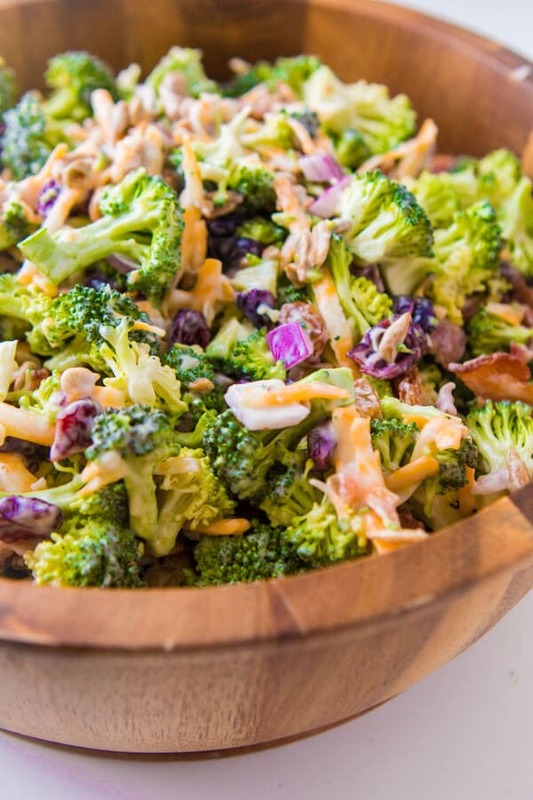 Do You Cook Broccoli for Broccoli Salad? I love broccoli now, and this is the first quick and easy side using broccoli I’ve made. Our BEST broccoli salad I’ve ever made. The question does arise though, do you need to cook the broccoli for broccoli salad? The answer is yes or no. The truth is, it’s entirely up to you! 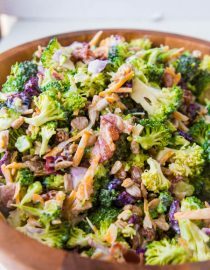 In this recipe we like the crunch of the broccoli and the dressing does help to soften things up a bit, but if you want to give it a quick blanch, add a little water to a pot with broccoli and place the lid on. Steam for a couple of minutes, just until it turns bright green and then quickly drain and toss in a bowl of ice water. Just be sure you drain it well before tossing it in the bowl with the ingredients. 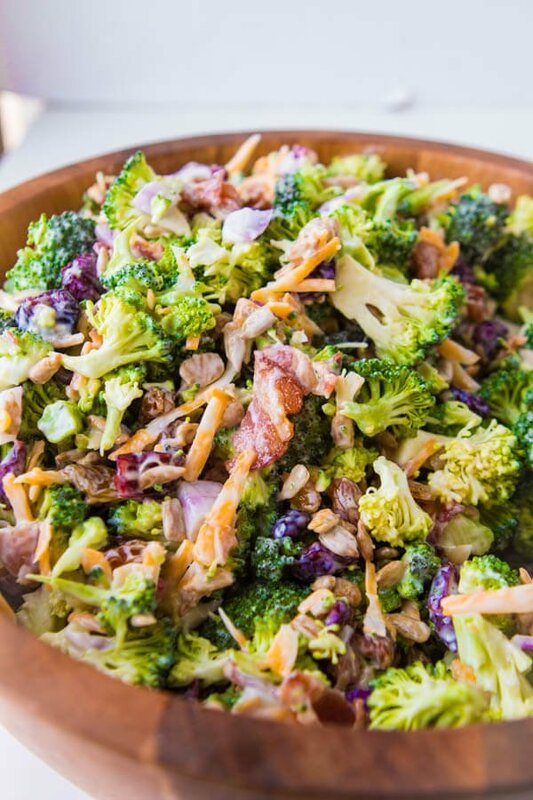 It’s our best broccoli salad recipe, but it’s originally from my friend Tiffany. That’s something I love about this broccoli salad side dish, it’s really easy to add whatever you like, peas, carrots, hard boiled eggs, olives, anything goes! 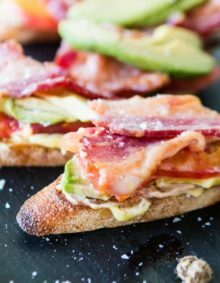 We like to chill ours for a bit and then toss in the bacon right before serving but sometimes life happens and we need to make it and serve it immediately so it all gets stirred together like the video. In a pinch you could actually use coleslaw dressing if you needed to as well. Store any leftovers in the fridge for 2-3 days, but make sure you cover it or it will dry out. 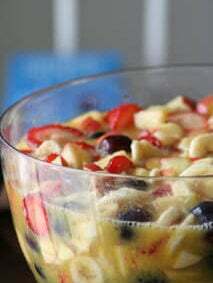 In a large salad bowl mix together the vegetables, raisins, and craisins. Leave the bacon and sunflower seeds for right before serving. In a separate bowl, mix together the dressing and pour over the vegetables. Toss well to evenly coat everything. Right before serving add the crumbled bacon and sunflower seeds, and toss to evenly distribute. Looking for more BBQ ideas? We love The Best Low and Slow Oven Baked BBQ Ribs. Oh my God. So so good. I made this recipe last night (half) and brought some to work for lunch today. I used a 12 oz bag of (Trader Joe’s) broccoli florets which to me is about half the recipe so I halved all the other ingredients. Wow. This is so so delicious. I did not blanch the broccoli and nor did I defrost the frozen peas. I just used the peas as is since I knew the salad would sit in the fridge for at least 2 hours or overnight. Also, I realized I did not have bacon so the portion I ate today was without it, yet it was yummy. But I have some leftover salad at home which I will make sure to use with bacon. Yay! 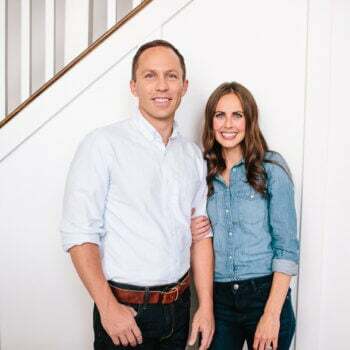 We are so glad you loved it! It really is so delicious! 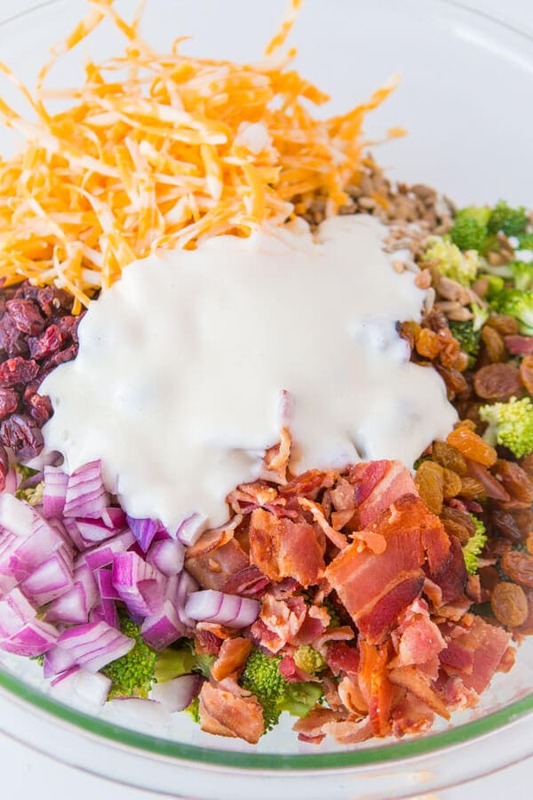 We get asked for this recipe anytime we take this salad anywhere! How come 2 different nutritious charts 1 says 223 calories in 1 cup other says over 400 in 1/2 cup. Which one is the correct one? You have frozen peas listed in the ingredients but neither the video nor the recipe instruction include this. Do the frozen peas go directly in this or do you need to defrost them? Ahhh, I’m sorry about that. We occasionally throw them in, I’ll make note. You can put them in a bowl and run cool water over them, drain and add. do you have the nutritional values for this salad? 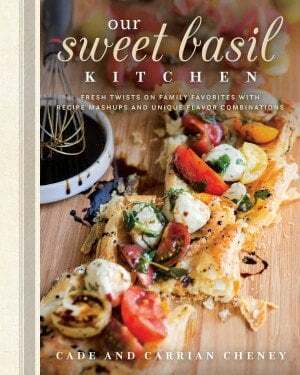 I didn’t see cheese and purple onion on the recipe. How much of each? Sorry about that, I accidentally deleted when I was editing the recipe I guess. It’s back in there! the broccoli salad video has shredded cheese but this is not listed in recipe, how much cheese did you use? Hi , this sounds delicious . Could you possibly use frozen broccoli ? I was thinking if you steamed it & then cooled it . oh! I should do that recipe! I love broccoli salad. I do add chopped red onions, as well as finely chopped cauliflower and chopped toasted almonds. Never tried the frozen peas but, will do so next time I make this delicious salad. Also, I plump my raisins before adding to the salad. I like that idea of plumping the raisins!! Very nice salad, you can add some corn and other veggies chopped, it all tastes great. I would have left out the onions also. I put peas in everything too. They give that little sweet crisp pop…mmmm frozen baby peas are so good. My daughter will eat them frozen. =P Onions are the only thing you left out for him, and peas are great easy extra nutrients to add. =) It was the best broccoli salad I've every had! Thanks Sis!